When I talk to students about the Trout in the Classroom (TIC), I use words like connectivity, mimicry, nature, experiment, life, and death. These are important words, underscoring much of what we do at Friends of the Rappahannock (FOR). Trout in the Classroom is a fantastic experience, performed by young people in a water environment, with beautiful, delicate living things. It’s one of the best aspects of my job at FOR. 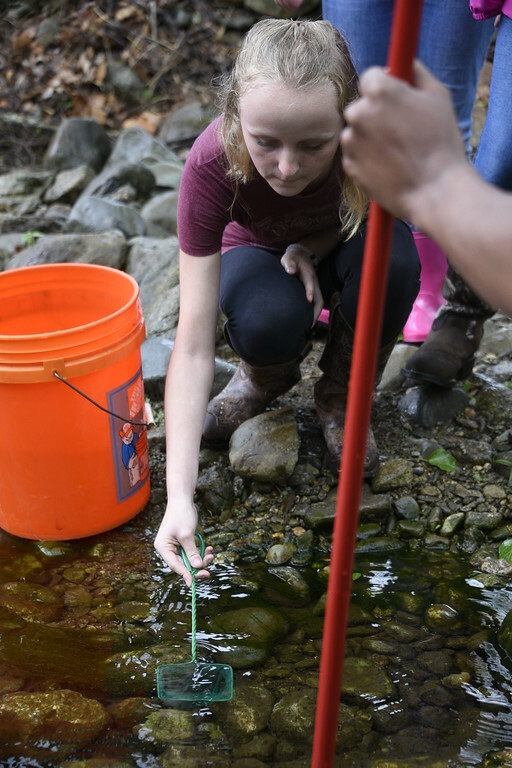 This fall we kicked off year two of our TIC program, and once again we are partnering with the Rapidan Chapter of Trout Unlimited, and middle and high schools from throughout the Rappahannock watershed. We have four partner schools this year, up one from 2017. Our TIC schools are Rappahannock High School in Warsaw, Eastern View High School in Culpeper, Orange High School, and Wetsel Middle School in Madison County. TIC is a national program, with hundreds of partner schools, and they all function in basically the same way. 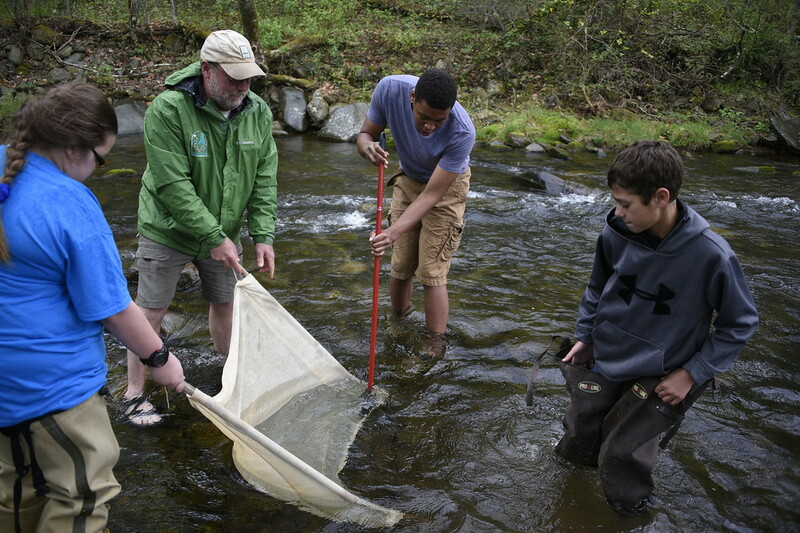 Our TIC program involves students raising brook trout from eggs they receive in the fall. 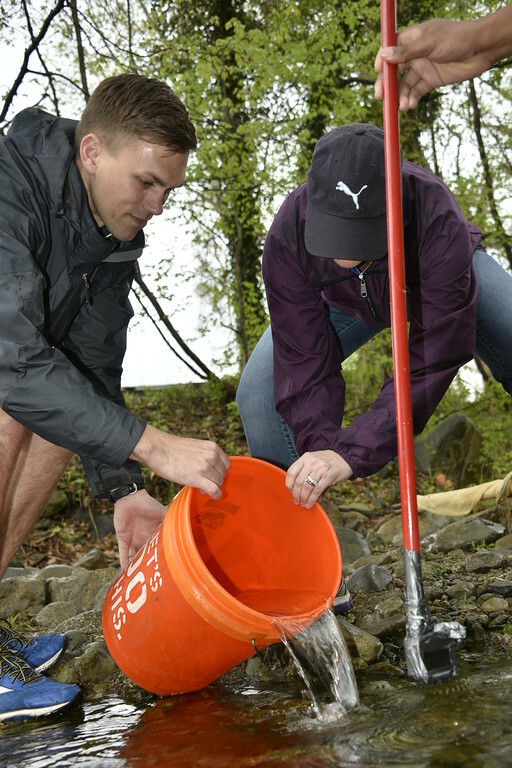 The trout grow until April, when we take students and their fish for release into a suitable mountain stream. The juvenile trout are 2-3 inches long when we do this. We use brook trout because they are Virginia’s only native trout, an important concept for students to understand. 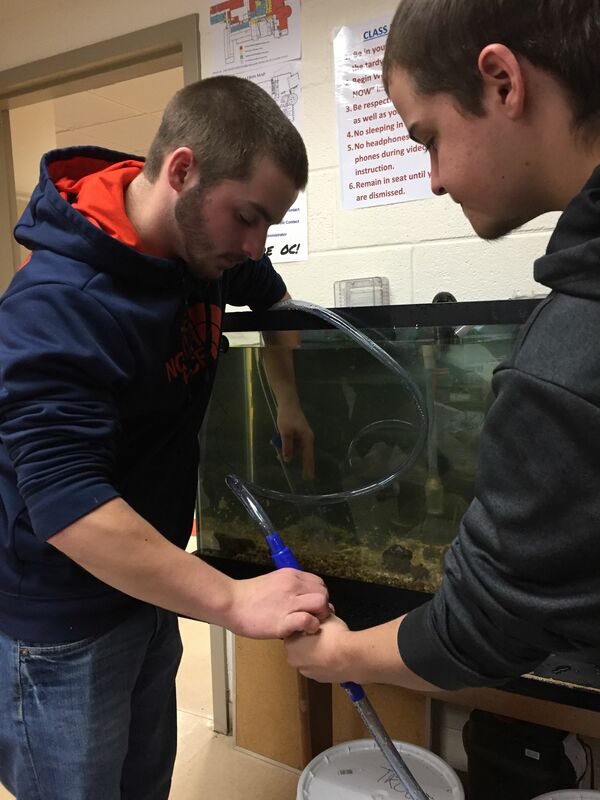 In the classroom, we mimic the natural mountain stream environment in a 50-gallon aquarium. The water is chilled to 50 degrees Fahrenheit, filtered, aerated and carefully monitored for chemical parameters, like pH and ammonia content. After hatching, the juvenile trout must be fed regularly. When the trout get a little bigger, a portion of the aquarium water must be changed out each week. Their entire process is an experiment, I tell students. They have to mimic nature in every aspect. If they do a good job, their fish will survive and grow, and someday swim in a real stream. If their chemistry gets out of whack, or if the fish don’t get enough of the right food, they will die. It’s a tough lesson when things go wrong, and it happens. We figure out what went wrong, restock the aquarium, and try again. At the beginning of the growing season, I tell students the story of brook trout in the real world, how they evolved for millions of years in places like Virginia’s Blue Ridge Mountains. We discuss the Industrial Revolution, and natural resource use in the 20th century. We talk about how the chemistry of some streams changed because of acid rain, until they could no longer support brook trout and the things they eat. We also discuss how things like electricity and wood products are really great to have. We just have to be careful how we make and use such things, I say. We talk about connectivity, and how what happens upstream, affects everyone downstream. “You are just like the scientists,” I tell these bright-eyed young people. “You have an important job to do.” And they listen. I never have to tell them to be quiet, or to sit down, and I don’t have to plead for their help. They just get it. And that’s why Trout in the Classroom is one of the best things about my job.